Geoffrey James, The Sluice, 2015. Courtesy of the artist and Stephen Bulger Gallery. 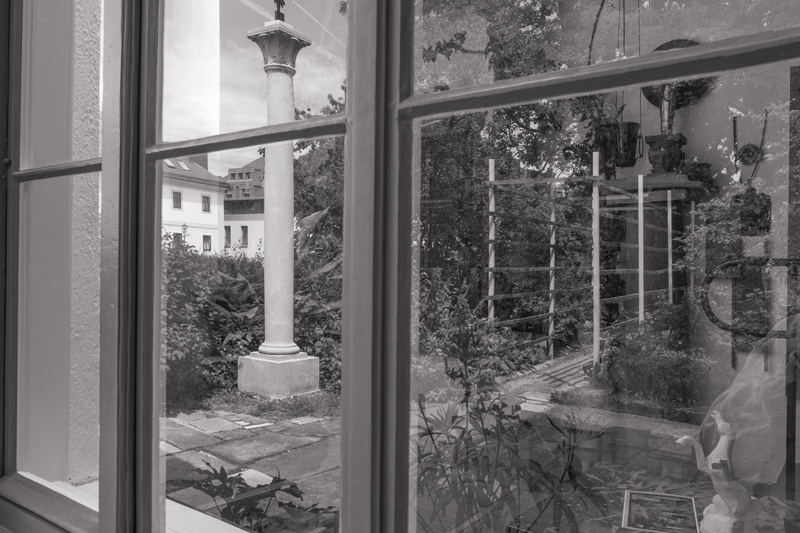 Geoffrey James, Conservatory, Plečnik House, 2017. Courtesy of the artist and Stephen Bulger Gallery. Geoffrey James, The architect's studio, Plečnik House, 2015. Courtesy of the artist and Stephen Bulger Gallery. Geoffrey James, The Entrance to Zåle Cemetery, 2015. Courtesy of the artist and Stephen Bulger Gallery. Geoffrey James, National and University Library, the Reciotto, 2015. Courtesy of the artist and Stephen Bulger Gallery. 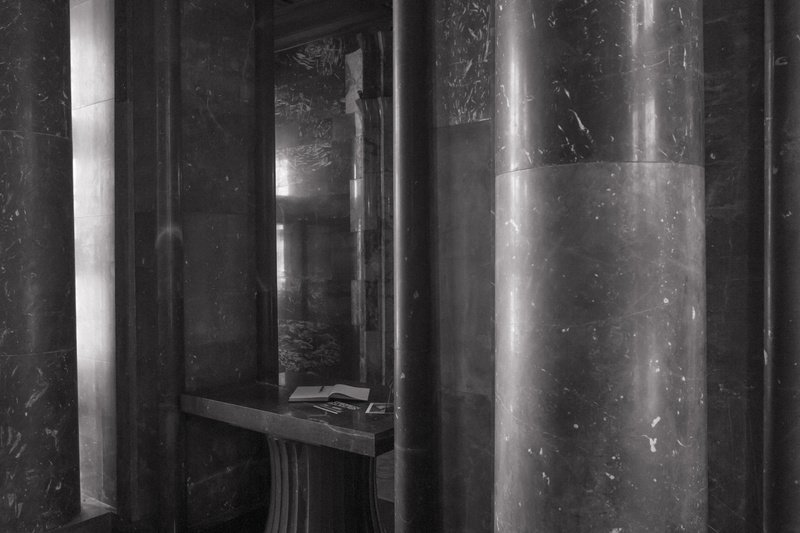 In this exhibition, part of a publishing project with McEwen, Toronto-based photographer Geoffrey James traces Plečnik’s architectural legacy, focusing on his transformation of the city of Ljubljana—a gesamtkunstwerk (a “total work of art”) that has left an indelible mark. As an architecture professor who took no professional fees, Plečnik became, over a period of almost three decades, the city’s de facto planner. 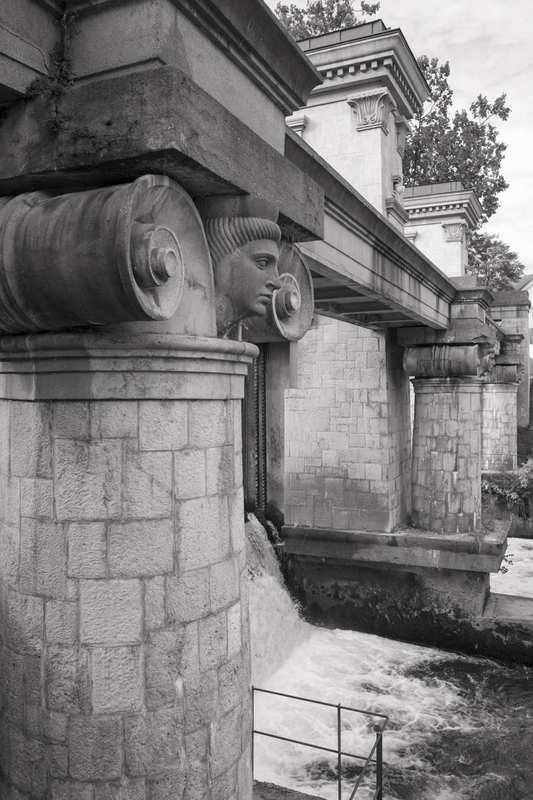 He excavated the original Roman walls, created new avenues and squares, built an eccentrically ornamented sluice gate that tamed the city’s unruly river, and then went on to create of series of brilliant urban spaces. These include a porticoed market building along the river and the tripling of a bridge at the city centre that creates an operatic stage set. Plečnik designed schools, several churches, and a cemetery that opens with a series of chapels that protect the privacy of the mourners. His National and University Library is perhaps his greatest achievement, a building whose gravitas and superb, dark entrance hall has echoes of Michelangelo’s Laurentian Library in Florence. When James first visited the city in 2014, he discovered how well Ljubljana works as a convivial, humane social space. It is city where everyone walks or cycles (cars are banned from the centre). Plečnik, who never owned a car, designed walks around the town that are dotted with monuments, pyramids, and benches. 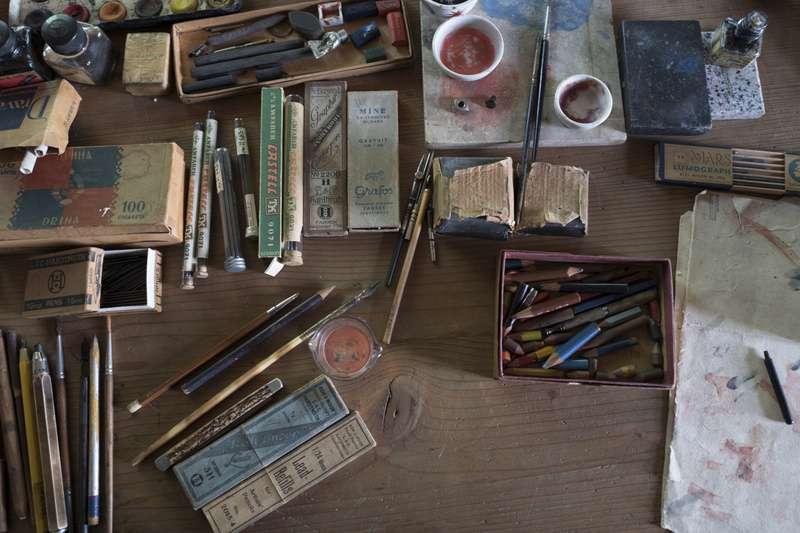 Recently, the architect’s house and studio has been renovated, with his work tables set up as they were upon his death. Geoffrey James is Toronto’s first Photo Laureate. He is the author or subject of more than a dozen books and monographs dealing with aspects of the man-made environment.